This year is the centenary of the birth of Joan Littlewood (1914-2002), one of the most influential figures in 20th century British theatre. Among many other things she founded the radical Theatre Workshop and directed iconic plays including Shelagh Delaney's A Taste of Honey and Oh What a Lovely War (1963). 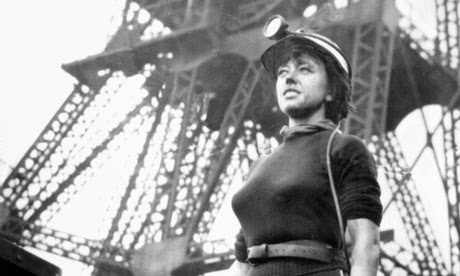 Joan Littlewood - not sure when this photo was taken, possibly when she visited a Durham coal mine for BBC in 1938. Littlewood was born at the Clapham Maternity Hospital, 41 Jeffreys Road, Stockwell and lived as a child at 8 Stockwell Road. In the 1950s and 1960s she lived in Blackheath with her partner Gerry Raffles. The 1958 electoral register has her listed as 'Joan Raffles', though I don't believe they actually married (she had earlier married Ewan MacColl, and was Kirsty MacColl's godmother). 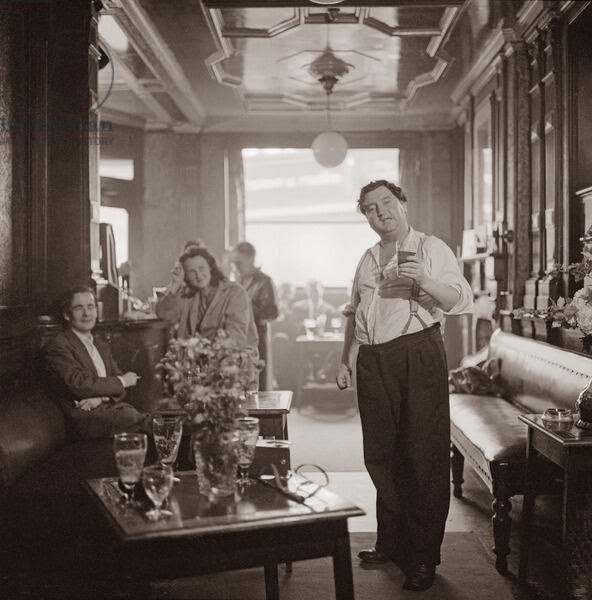 Littlewood played a critical role in the career of Irish playwright Brendan Behan. In September 1958, Behan stayed in Blackheath. According to 'Brendan Behan: A Life' by Michael O'Sullivan, 'Littlewood had offered Brendan the use of her home to finish The Hostage', which she was directing at Theatre Royal Stratford. Behan 'spent most of his time in The Dragon pub in Blackheath. He had an uncannny knack for finding like-minded boozers wherever he was in the world'. Not sure whether the Dragon is the George & Dragon on Blackheath Hill - not the nearest pub, but maybe that was the point as his drinking didn't go down well with Littlewood and Raffles who were worried whether he would finish the play on time. In the early 1960s Littlewood, along with the architect Cedric Price, conceived of the idea of the 'Fun Palace', a never realised building that would be a ‘laboratory of fun’/‘university of the streets’ based on mass participation in art and science. Littlewood’s motto was “Everyone an artist, everyone a scientist.”and the original fun palace design said: 'Choose what you want to do – or watch someone else doing it. Learn how to handle tools, paint, babies, machinery, or just listen to your favourite tune. Dance, talk or be lifted up to where you can see how other people make things work. Sit out over space with a drink and tune in to what’s happening elsewhere in the city. Try starting a riot or beginning a painting – or just lie back and stare at the sky'. Writer Stella Duffy* proposed reviving the idea of Fun Palaces to mark Littlewood's centenary, and on 4-5 October this year there will be at least 80 free 'pop up fun palaces', with the Albany in Deptford not only hosting one of them but also helping to organise the national programme (check map for your nearest event). Duffy's co-director is Sarah-Jane Rawlings, who helped to launched Meet Me at the Albany, the Albany’s artist led day club for the over 60s.